Very nice hostel, located in the best part of the town. We have a whole view of the town, the sea, the mountains, surrounded by nature. You will be welcomed by the owner Beni, he will help you for everything and cook nice meals for everyone. 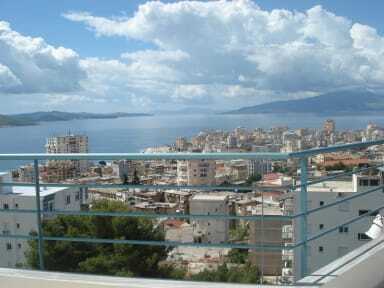 You will have the best time there for you trip in Saranda. Our hostel is the best in town. Ideally located you can enjoy the sea view, mountain view in a quiet place surrounded by nature. The beach is 7 min from the property by foot. Butrint ancient town and National park are 10 km away. The Blue Eye National Park is 15 km from the hostel. Gjirokastra town (UNESCO site) and Llogara Park are close too. Big hostel with spacious dorms and private rooms. Big balconies with sea view and a lot of outdoor facilities (barbecue, tables, chairs...) to enjoy and relax. We offer fresh breakfast also Beni the owner will be glad to cook nice meals with fresh products. The barbecue is the best place to share meals and experiences. In the hostel you will find 4 dorms with bathrooms, a kitchen, a private room and an apartment. Big outdoors with garden and tables. There is a lot of space around the property, we have a garden where you can eat or just relax. 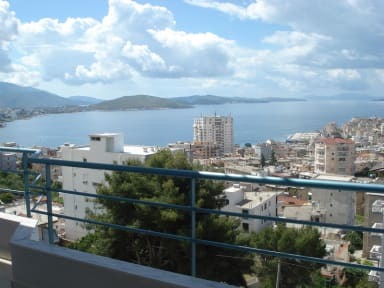 Come join us and have a great time in Saranda with a small budget! You give less, you take more. Payment upon arrival by cash, credit cards or bitcoin payment is posible. This property may pre-authorise your credit card. Es gibt keinen Frauen Schlafsall wie er bei der Buchung zur Verfügung steht. This Hostel is a nightmare. Staff unfriendly and dont gives a s**t at all. The Place is old and Dirty. When i went to bed at 3am there was a bedbug Party going on on my matress, they waited for their Dinner, me. When i told the receptionist he said thats Not True, he dont Care. But i have even pictures of it. I ran just Away from this Place. Met other girls who ran Away too at my new hostel. Just Go somewhere else!! !